This badge was issued to Craig Mullins on 03 May 2017. 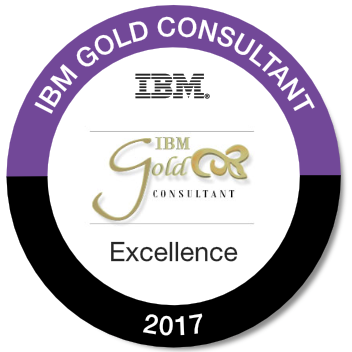 IBM Gold Consultants are independent consultants recognized in the IT industry as possessing superior technical expertise, product knowledge, vast industry expertise, market knowledge and a strong digital presence. Gold Consultants also enjoy unique relationships with IBM development, often engaging in two-way discussions to help shape future product direction. IBM and The Gold Consultants align on strategy, priorities and initiatives to contribute to the collective benefit of IBM Clients. Technical expertise on IBM products. Ability to evangelize on behalf of IBM. Ability to share knowledge and expertise by engaging in meaningful two-way discussions with IBM development teams (under Non Disclosure Agreement). The 2017 Gold Consultant badge is no longer available. Check out the View Additional Information link for the next badge.